CinefestOZ 2018 Full Program Available Now! Tickets are on sale now for CinefestOZ 2018, which runs from Wednesday, 22 August to Sunday, 26 August. CinefestOZ is Australia’s premier destination film festival. Film lovers, filmmakers and stars are drawn to Busselton, Bunbury and Margaret River to share in five days of immersive film experiences at the regions’ cinemas, wineries, boutique breweries, small bars and galleries. The highly anticipated festival program premieres predominantly Australian feature films, with a selection vying for Australia’s richest film prize of $100,000. 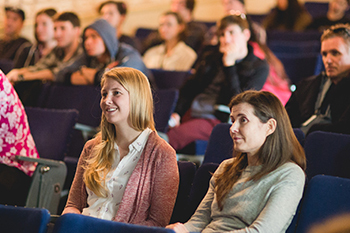 In 2018, the CinefestOZ Industry Program goes to new heights to fulfil your festival experience and present you with new ideas and opportunities. The program consists of a variety of panel discussions, workshops, screenings, networking opportunities and in conversations. It strives to bring conversations of innovation, new technology, diversity, equality and industry issues to the forefront of the national and international film industry. Industry Cinepasses and Student Cinepasses will give you access to many of these events. 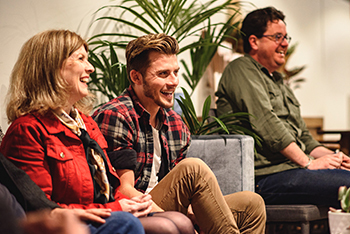 Celebrate the beginning of the Industry Program with what makes it special, you – the makers of Australian film! A welcome from CinefestOZ CEO Malinda Nixon is followed by Screenwest CEO Seph McKenna providing a snapshot on Film in WA – Where we are now. Register for the CinefestOz Industry Welcome. Come along and enjoy a vibrant day featuring Aboriginal guests and films plus interactive filmmaking fun and Indigenous stalls. Find our more about IndigifestOZ Day. Recently returning from a trip to China, Screenwest CEO Seph McKenna will lead a discussion on China’s local screen industry and the exciting developments on the horizon. Screenwest is proudly sponsoring this event, including a morning tea. Get tickets for the Market Update – China event. Screenwest and Lotterywest are proud supporters of CinefestOZ.